The traditional rhetoric of marketers in a tight economy is based on a poor strategy of slashing adspend and taking a wait-and-see approach to how things develop. They usually cut from the advertising budget first. That's a big mistake. Advertising in a tough economy is actually a smart move to grow your business, both now, and for the future. It's not the risk you may think it is. Research conducted on U.S. companies shows that within 5 years, recession-period advertisers experienced up to 256% growth over competitors that eliminated or decreased spending. The numbers aren't coincidental and prove that aggressive advertising efforts in tough times pays off. Most businesses have limited advertising budgets and it's easy to reduce that by holding back on advertising. However, all that really does is open up the marketplace to savvy competitors. The presence you have built to date is now an open field for competitors – they capitalise on your company’s visibility (or lack of it). Let's say you own a parts business. Consumers still need your products, no matter what the economy is doing. Cars still break down or need maintenance. They still need windshield wipers, brake pads and oil - and people will even buy those little air fresheners if they are part of a great special you are running. But they will only be buying from you if you tell them about it! Standing out in the marketplace is hard enough when you and your competition are battling it out. As your competition cuts back on advertising, your advertising cuts through the clutter and builds the brand and its reputation, within your target market. 3. Consumers May Not Be Spending As Much, But They Are Still Spending. If you're not the company they think of when they do need to spend, your sales will decrease. While your competition is cutting back, you have the chance to be the company consumers spend with now, while gaining their future business as you continue with consistent presence in good times and bad. 4. You WILL Get Better Deals on Advertising - Now Is A Good Time To Get Deals On Your Ad Space & Get More Out Of Your Spend. Ad inventory has to be sold, but understand that media owners still have budgets to make. Consistent ad placement is rewarded by media owners who should be offering you value added extras, in terms of special positions, editorial coverage and online support to improve the pull through of your ad campaign. Media owners who are not active in multiple online media do not understand the technological developments in media. That does not mean that print in particular is not relevant – it still is, especially in business-to-business advertising and developing markets. Your campaign should be in multiple media channels, supported in print, online, direct email and social media. This approach enables the building of a relationship with your customers – with multiple points of contact and multiple means of getting them useful information, you are consolidating your brand’s position in their minds. Direct email allows you to address your customers directly - while letting the customer learn about your product, in their own time. Don’t be afraid to address the bad economic environment - customers are looking for good deals. Show them a silver lining and how your brand can get them through the tough times. Focus on very specific items and how much difference they can make in times like these. 7. Don’t ignore the low hanging fruit. Never forget to market most often and strongly to loyal customers who already buy from you. Objective editorial coverage that you can share with your customers, and direct email marketing is critical. However make sure to compose your message well and create a compelling offer. It is easy to implement and extremely cost-effective, especially when your media partner can assist you in tailoring the message and providing tools to deliver the message. Email gives you the ability to test times of delivery, see what is working in terms of content and response, and allows you to react to that information - all with the goal of generating more awareness, which is the first step to generating sales. It allows you to make your message as timely and relevant as possible. This is made easier by using a media partner who already has these databases, systems and resources to assist in tailoring your message. You can create online buzz about your product through social media such as Twitter, Facebook, and even Linkedin. Using social media methods to stimulate conversation about you, your business, and your products relies on being genuine. To ensure the buzz is positive, you have to promote yourself gradually and organically by developing real relationships with your desired audience on targeted social media sites. It is also imperative that you are involved in the conversation. To ignore your customers is an unforgivable mistake in today's interconnected world. You must always be willing to devote time to answer questions, respond to complaints, explore opportunities, announce new products and events. Working with a media owner who can generate content for you to share in a structured campaign is a must. 9. Get to know the your media partners. Public relations via editorial coverage is a missed opportunity that every business should embrace. That's because it is pretty much free. A good media partner can translate your information into valuable, newsworthy stories. These can be shared in print, online, email and social media. It is about positioning your brand and products as thought leaders in your category. Customers need to believe that you have the answers to their problems and so identify you as the provider of the solution. In a bad economy, there are many opportunities to expose your business to new customers that aren’t always possible in a good economy. Every one of them can be explored to help you solidify your place in business and stand out from your competitors. In reality, cutting your marketing budget in a bad economy is the last thing you should do. This is not the time to focus less on marketing ... rather the opposite. The beauty of marketing in the 21st century is that many of the marketing channels available to you are cheap, easy and fast to execute. 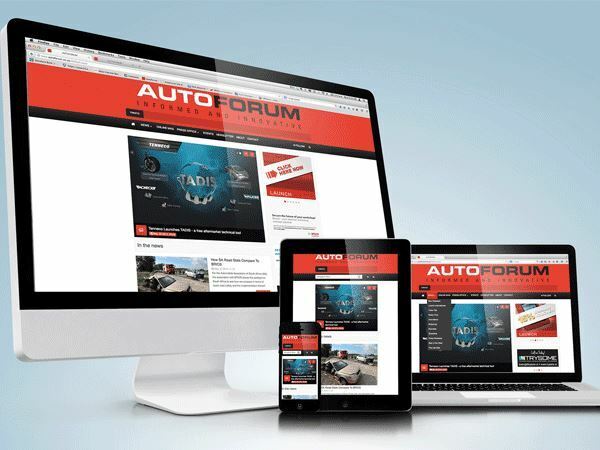 With niche markets such as business to business within the automotive aftermarket, AutoForum is your media partner of choice. Our team are experienced marketers and media professionals, and our reach into the automotive aftermarket is proven – over almost 3 decades. We have adapted our media channels to ensure your brand gets the coverage you need in the new marketing environment.